Railway Ministry is now working on transforming 400 existing non-metro stations into green stations. 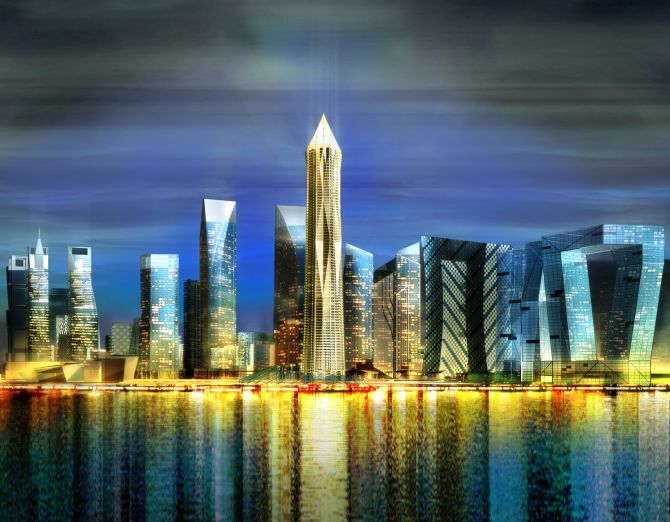 The Indian Green Building Council (IGBG) on Monday said that 100 cities under the Centre's ambitious 'Smart City' programme will be developed as green cities. According to IGBC chairman Prem C Jain, the Prime Minister's Office (PMO) as well as Ministry of Urban Development has decided to rope-in IGBC for creating environment friendly and energy efficient smart cities. IGBC, a non-profit arm of Confederation of Indian Industry (CII), is engaged in developing new green building rating programs, certification services and green building training. "When the '100 smart cities' project was announced, I wrote a letter to the Prime Minister Narendra Modi and requested him to call it '100 green smart cities' by focusing on adopting simple techniques of energy saving, solid waste management, rain water harvesting, recycling, etc while creating these smart cities across India" said Jain. "Then, we were invited by the PMO to know more about it and directed us to meet officials of Ministry of Urban Development. We requested the officials that we want to work with city administrations to implement green initiatives. They have agreed to our proposal" said Jain. "I am glad to announce that these cities are now going to become green smart cities. In near future, we will sign an MoU with the ministry to take forward this green initiative. "Meanwhile, we have already started working on this project and held meetings with some of the state governments," Jain added. Now, IGBC will work closely with local administrations of these 100 cities to advise them on this subject matter and also to certify their work, he said. Jain was in Ahmedabad to announce the 13th edition of Green Building Congress-105 which will take place in Gandhinagar from November 19-21. He also informed about their upcoming project of certifying 400 railway stations that will be transformed into Green Railway Stations by the Railway Ministry. "Railway stations have immense potential to save energy. Solar PV panels can be installed on platform roofs, normal lights can be replaced with LED, conserving rain water, etc. Railway Ministry is now working on transforming 400 existing non-metro stations into green stations" said Jain. "Within six months, IGBC will roll out a pilot project to certify these green stations. There is possibility that Gujarat based stations like Bharuch or Rajkot can be selected to kick off the national pilot project," the chairman said.